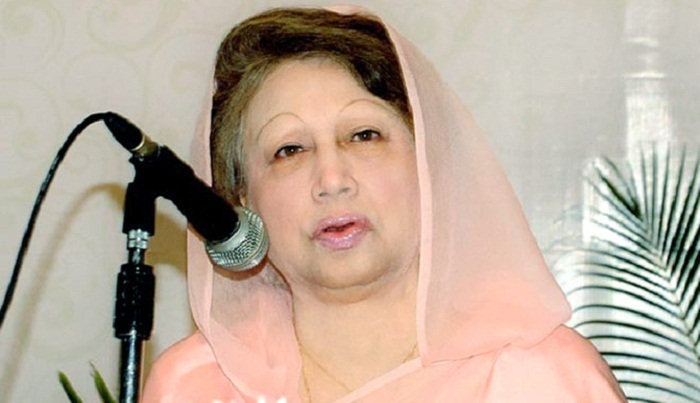 BNP Chairperson Khaleda Zia is going to give new directives to her party followers on Saturday as a court is set to deliver verdict on February 8 in a graft case filed against her. The BNP chief will give directions after the national executive committee’s daylong meeting to be held at Hotel Le Meridian in the capital on Saturday, BNP Secretary General Mirza Fakhrul Islam Alamgir said. “Our chairperson will come up with necessary directives to our party men on the current political situation, our party’s future course of action, the general election and some other important issues,” said Fakhrul on Friday. However, party senior joint secretary general Ruhul Kabir Rizvi at a press conference at the party’s Nayapaltan central office on Friday alleged that the government is creating various obstacles and arresting their party’s executive committee members so that they ‘cannot successfully hold’ their meeting. He said the meeting is scheduled to begin around 10am with their party Chairperson Khaleda Zia in the chair. Party insiders said around 700 leaders, including standing committee members, executive committee members, and vice-chairmen, chairperson’s advisers and presidents and secretaries of the party’s different associate bodies, have been invited to the meeting. There will be two sessions at the meeting. The executive committee members will talk in the first session while the senior leaders and Khaleda will give them necessary directions at the concluding session. At the first session, the executive committee members will give their opinions about the party’s next course of action and face the emerging situation if the court verdict goes against their chairperson. In her speech at the concluding session, the BNP chief will give her party leaders necessary directives to remain united under any circumstances and carry out the movement peacefully as well as take preparations for the next election, even if she is convicted. Khaleda is also expected to unveil plans before the party leaders how the party will be run in her absence and how the party will prepare for the next general election. A BNP leader close to Khaleda said the BNP chief will caution the party followers to remain aware so that no rift can be created in the party in her absence what was seen during the 1/11 political changeover in 2007. BNP formed its 502-member national executive committee on August 6, 2016 over four and a half months after its national council held on March 19. As per the party’s constitution, the meeting of the executive committee should be held after every six months, but it could not hold any meeting over the last one and a half years. Now, the meeting was called as the Special Court-5 in Dhaka on Thursday fixed February 8 to deliver its verdict in the Zia Orphanage Trust graft case filed against Khaleda and five others.